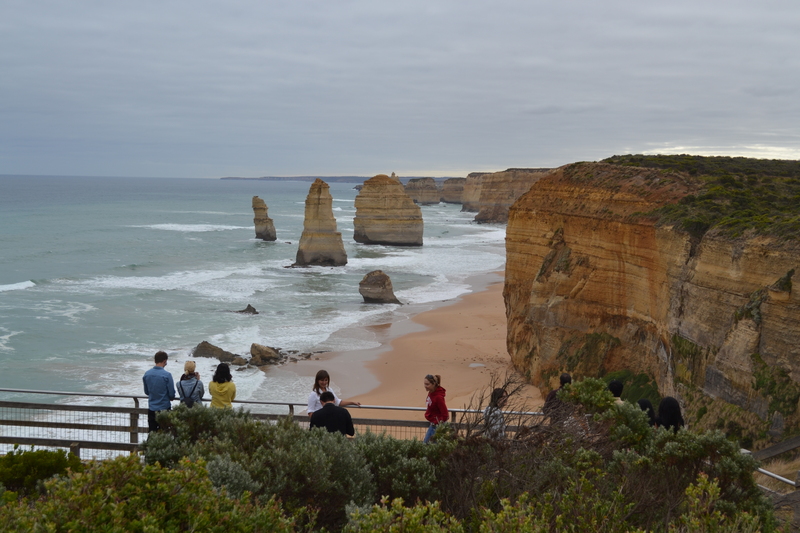 Yesterday we were showing a friend along the Great Ocean Road and the 12 Apostles. 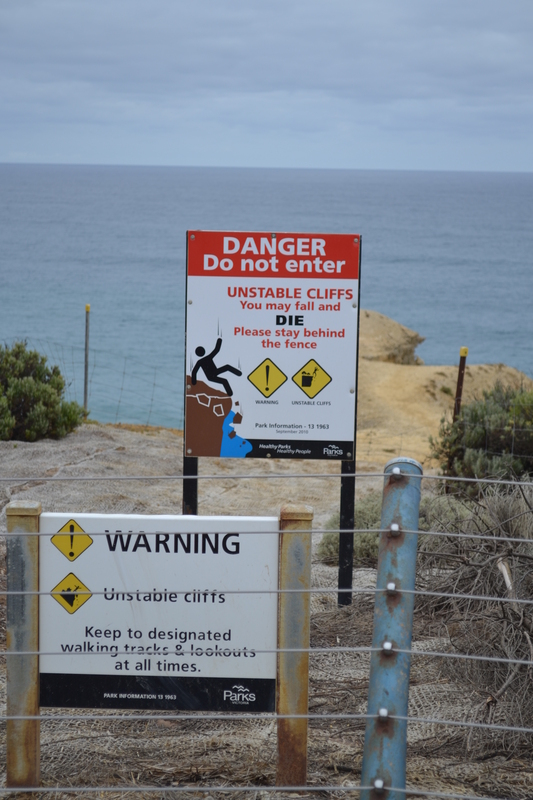 There were signs alerting people to the dangers: steep cliffs, falling rocks and so forth. But many people blithely ignored the warnings. Some climbed on the fences to scream at friends way below. Others went to crumbly cliff faces to take a better picture. What is it about human nature that we disregard clear warnings? We see it in all aspects of life: foolish driving, dangerous work practices, crazy stunts and more. The saddest area of deafness is in human spirituality. The Bible has many warnings about foolishness. Eccl 4:13 “Better a poor but wise youth than an old but foolish king who no longer knows how to heed a warning” is just one. We think we can thumb our nose at our Creator. The unique attribute of Scripture is that it both warns and guides. It tells us about the danger of human foolishness and blindness but it also gives us the antidote – the solution, and that is a relationship with God through Christ. This deals with the biggest danger – death. Eternal death. Next time we see a warning sign, just remember that it is important. Past experience has been put to good use. More importantly, you can also see it as a metaphor for God’s warning and God’s solution.